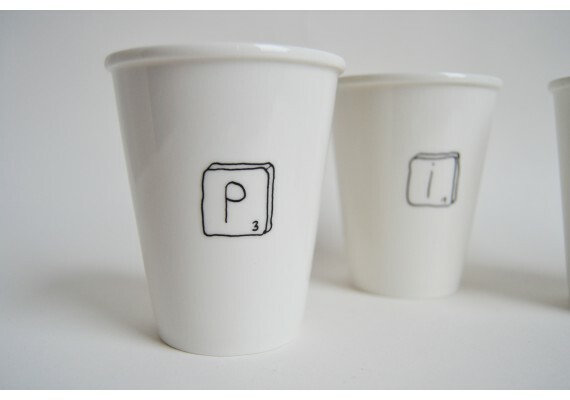 Helen B created these fun Scrabble mugs especially for PIET Moodshop. Give your mum an M and your sister an S.
Or give each member of a new family a mug with the first letter of their name. The scrabble mugs always make a good gift!